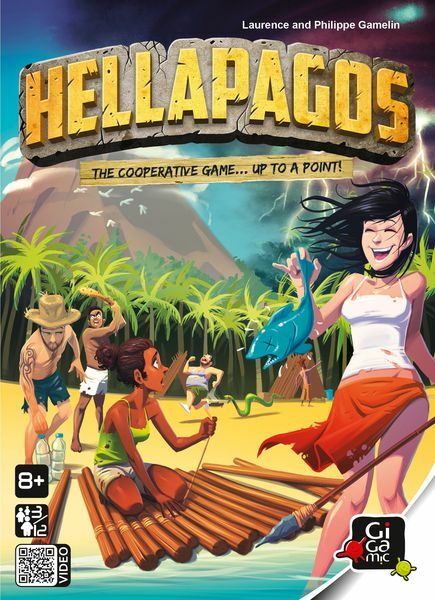 Hellapagos is a "co-opetition" game in which players struggle to survive on a desert island and build a raft to escape before a hurricane devastates them. 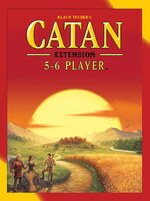 While players need to work together, its not likely that everyone will survive this backstabbing negotiation game for up to twelve players. 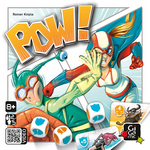 In POW!, players need to collect both superheroes and supervillains over the course of the game, and they do this by rolling dice. 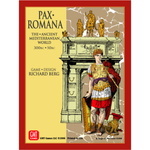 Once all the tiles have been claimed, the game ends. If someone has more heroes than villains, they must discard tiles from their hero stack until the two stacks are the same height. 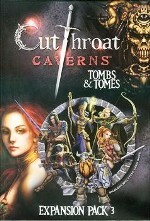 Players then tally their points, and whoever has the highest score wins! 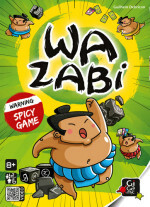 You have a single goal in Wazabi! Get rid of your dice. The trap, though, is that the fewer dice you have, the more difficult the game becomes. Why? 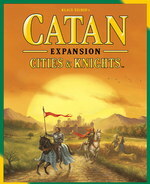 Because players can use the powers of the dice to give a die to another player, draw cards, or play a card, and these cards can remove dice from the game, give dice to another player, draw even more cards, or take many other assorted actions. Good luck! 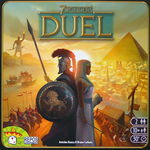 In many ways 7 Wonders: Duel resembles its parent game 7 Wonders as over three ages players acquire cards that provide resources or advance their military or scientific development in order to develop a civilization and complete wonders. 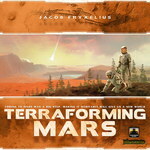 What's different as the title suggests, the game is solely for two players, with the players not drafting card simultaneously from hands of cards, but from a display of face-down and face-up cards arranged at the start of a round. 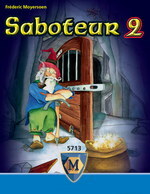 View The Saboteur 2 expansion adds new role cards (the boss, profiteers, geologists) to the base game, new action cards (steal gold, change your role), and new tunnel cards featuring doors, ladders and bridges. What's more, the gold seekers can now be divided into teams — blue vs. green — and only those on the team that finds the gold score anything — assuming that anyone finds the gold at all, of course. 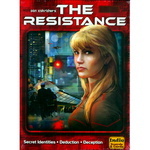 Requires Saboteur base game to play.